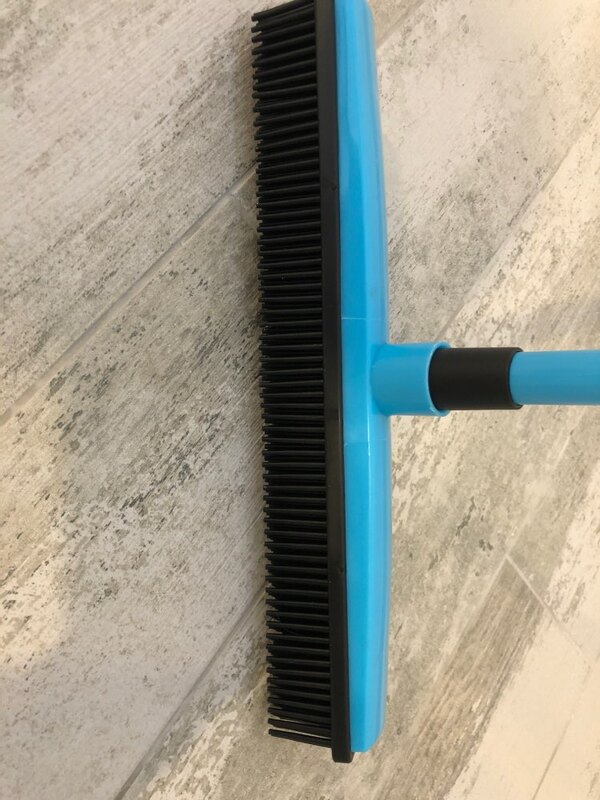 The ONE multipurpose SUPER broom to clean your pet hair, home, car, carpet and more EFFORTLESSLY! 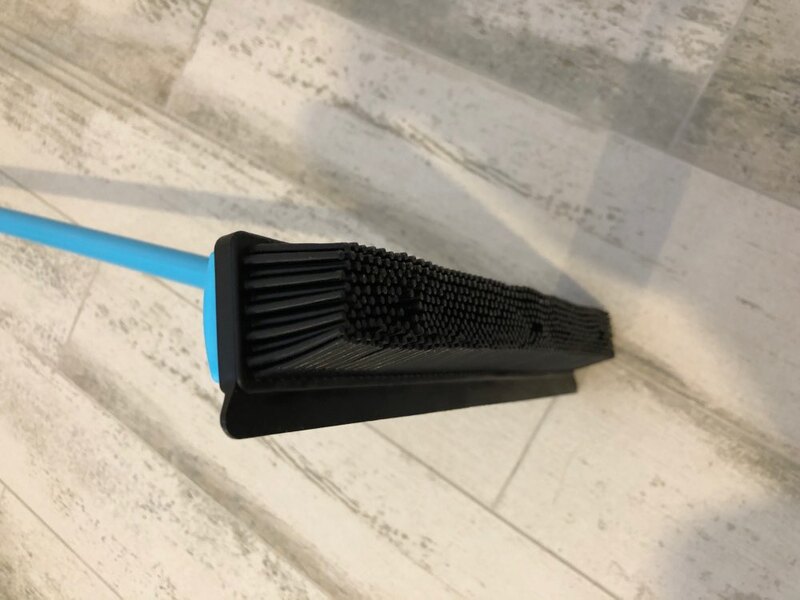 It’s Rubber Bristles can EASILY gather up dust, hair, paper scrapes on floors and carpets, INCREASING 50% EFFICIENCY than a normal broom. 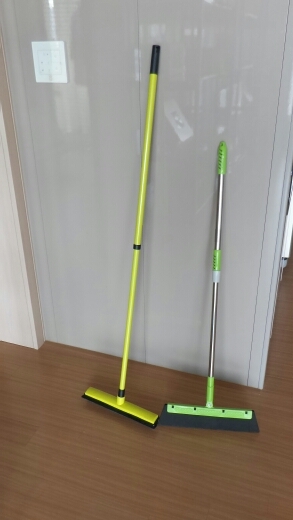 It can also dislodge pet hair from rug and carpet BETTER than Vacuums. 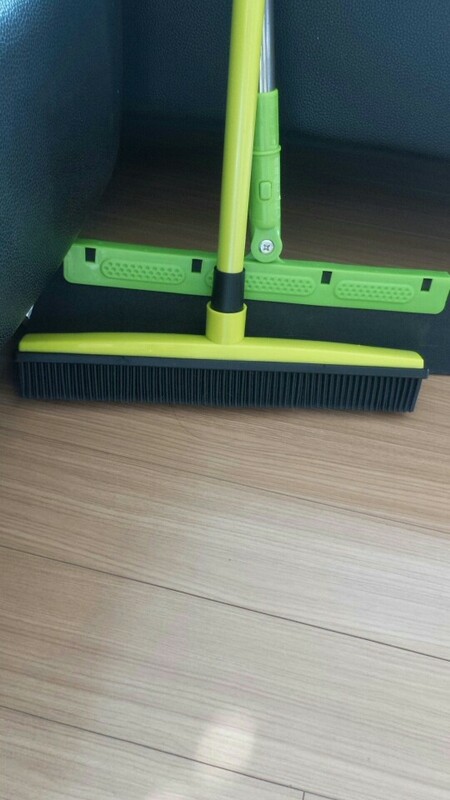 With built in squeegee edge, it can even wash floor, clean up water or spills and clean window. P.S SAVE 50% off this week only! Make cleaning quicker, easier, and less stressful. We have 3 dogs and a cat. The couch has never looked better. Before we got this, we were embarrassed when guests sat on the couch. No more!! Works great on the rugs and floors too. Thank you for such a great product. 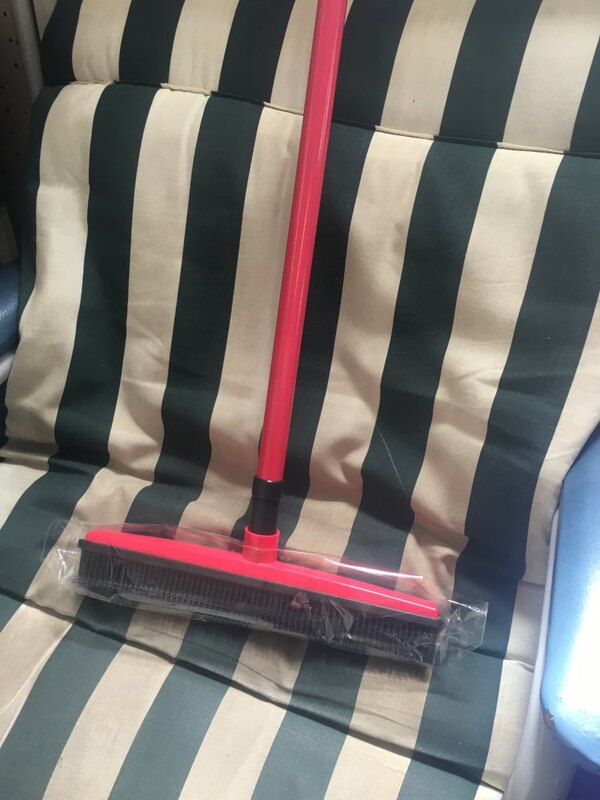 I love this broom/squeegee. 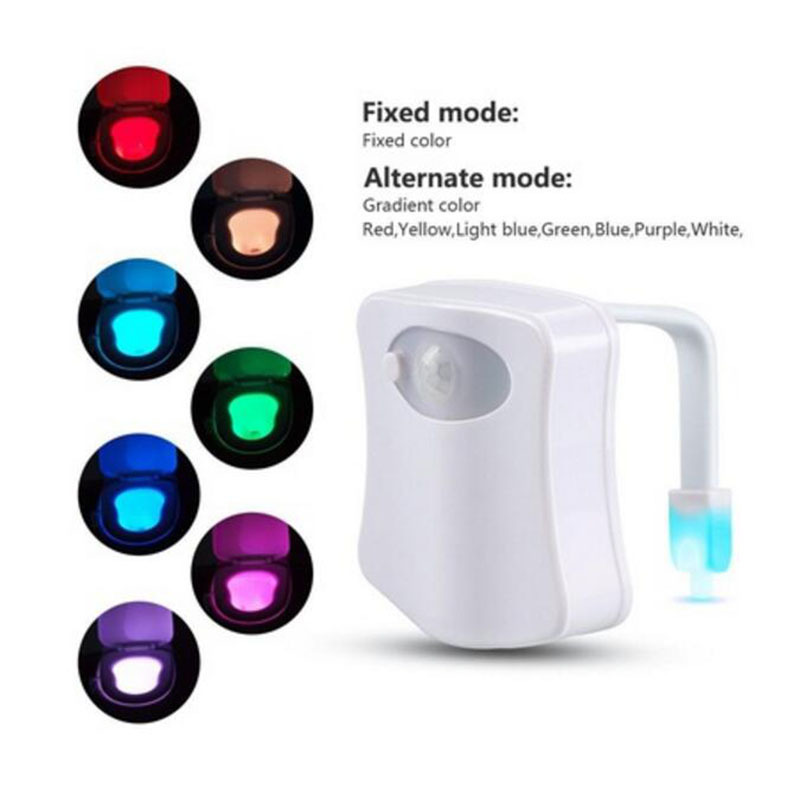 It is light and easy to use and multifunctional. During the winter with melted snow and grit and rocks brought into the garage by your cars. 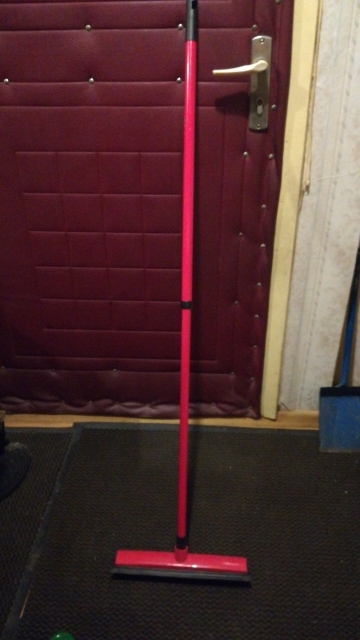 This broom is a perfect tool. 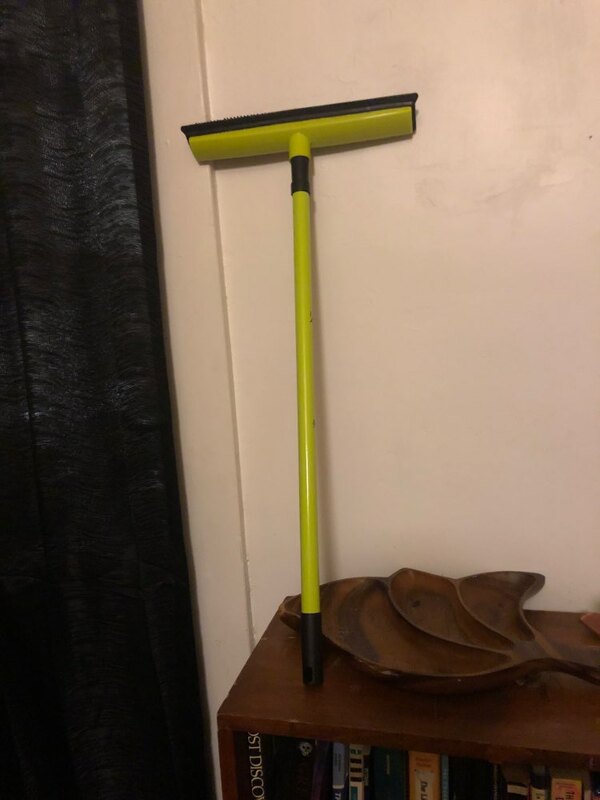 I use the squeegee for water and the broom for sand. 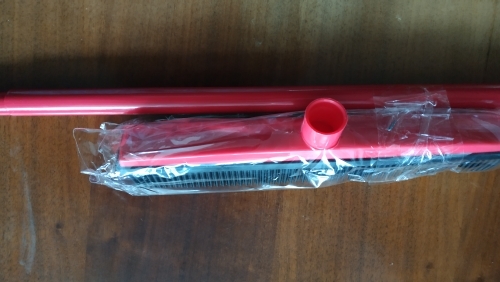 But I have also found that the squeegee is good for moving the sand out. In the summer I use this for our trex deck. Works great! It is by far better than getting out the shop vac or heavy garage push broom. I own three and I’ve bought them for family members. A Must Have With Pets. 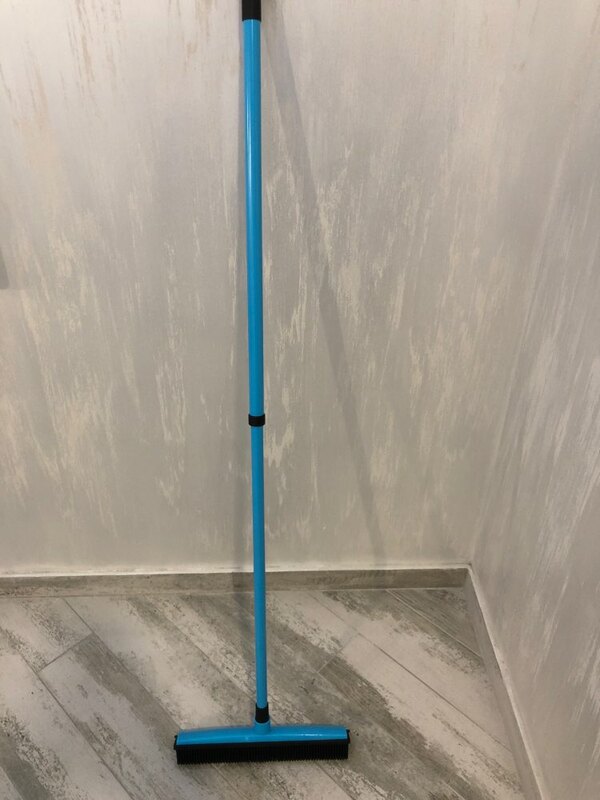 If you have pets, you need this broom. 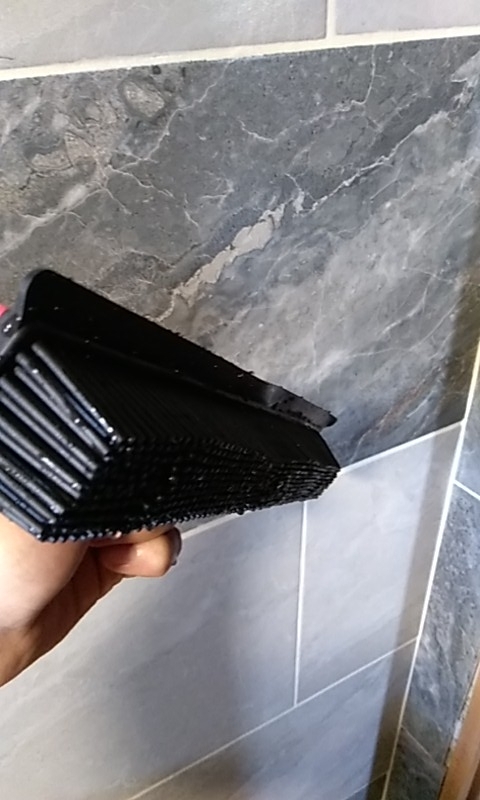 It makes sweeping up pet hair a breeze. Not only did my cleaning routine take half the time, the pet hair swept up in neat ribbons making it easier to pick up. Amazing speed of delivery - fantastic product would highly recommend! Successfully de-furs carpets! If you have a big fluffy dog and carpets, you should have one of these. 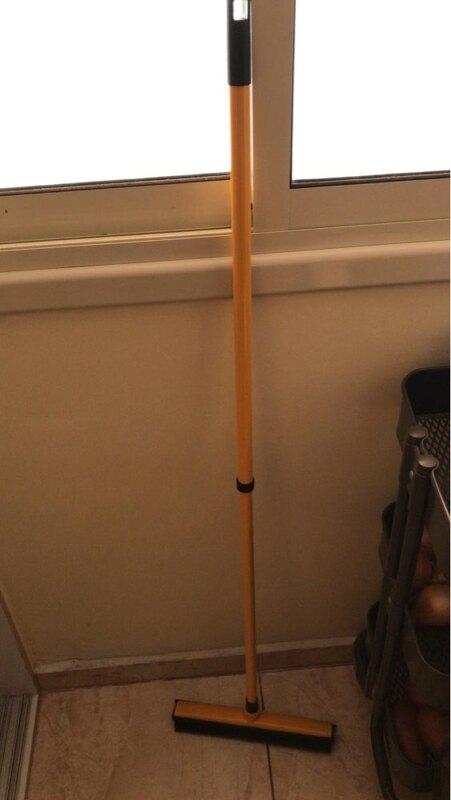 I'm so in love with this broom thing. I've been steadily working my way around the house with it, in amazement at what it gets up. I even used it on our couch, some decorative pillows, and on the dog bed. 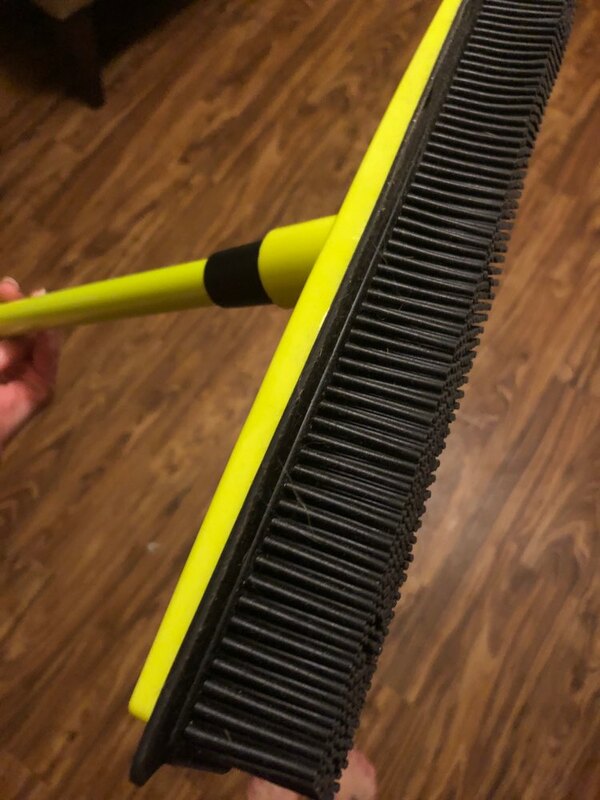 Most exciting broom you'll ever buy/use! 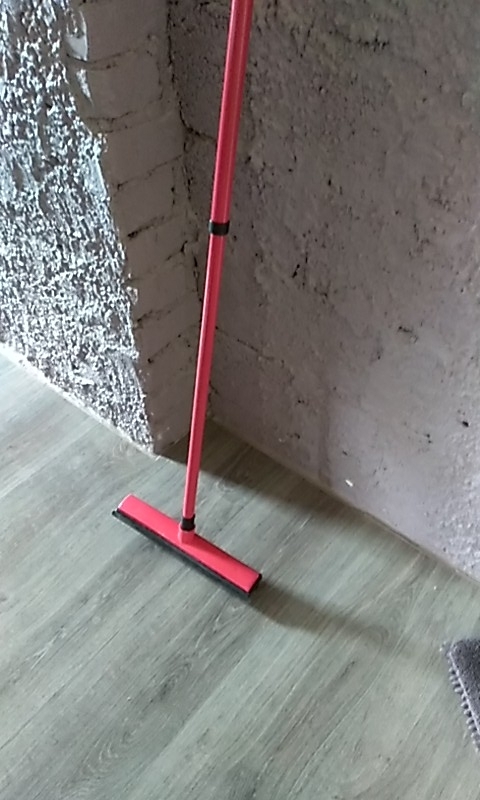 I never thought I'd be so excited about a broom, but I guess that's what happens when you turn into an adult. I have two dogs and also have long hair and the three of us shed a lot. 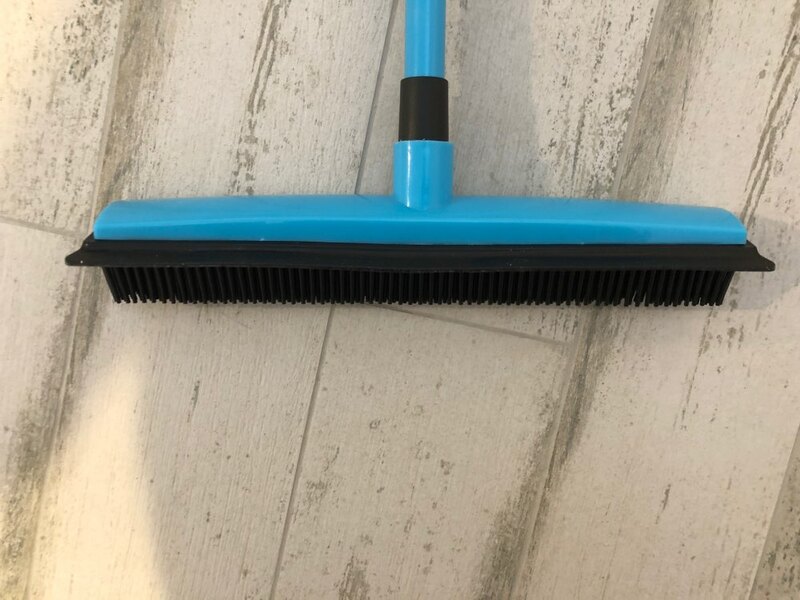 I vacuum regularly and was simultaneously impressed and also disgusted by the amount of hair this broom swept up.I especially liked how it easily reached under the bed, which is not easy to vacuum, and how it seemed to "ball up" all of the dust and hair instead of just dispersing it elsewhere, if that makes sense. 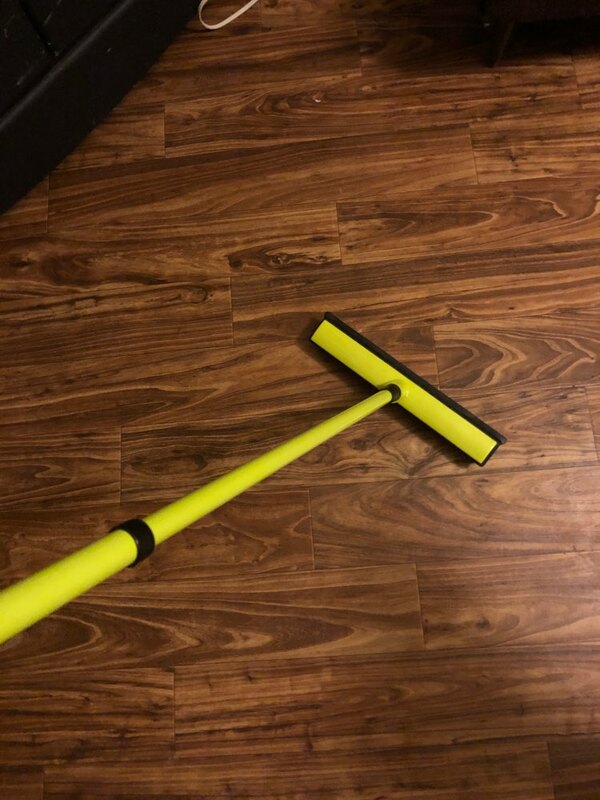 Best Broom I've Ever Owned! 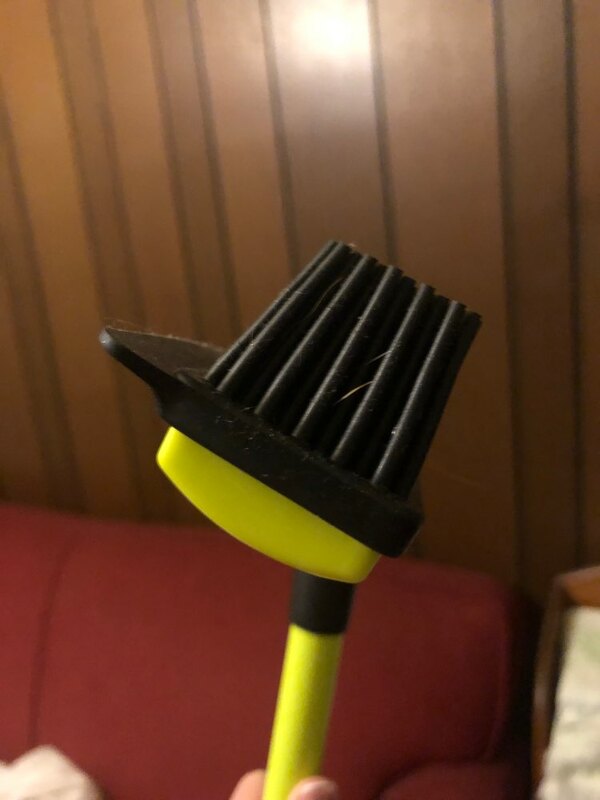 When my husband and I moved into a new home with new hardwood floors, I became convinced that our household needed a new broom, too, one that would allow me to better reach the dust bunnies of hair and lint that accumulated in our last house. If you have a pet, or any floors at all, you need this! 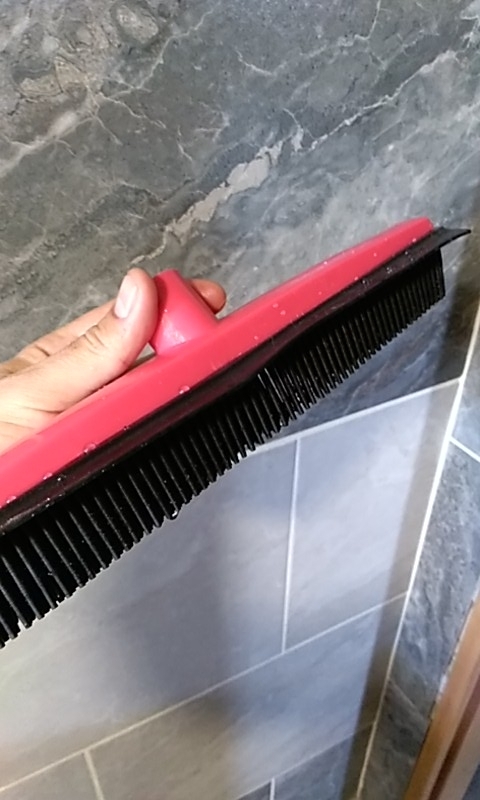 Now, I vacuum regularly, but of course there is hair I can't see. I used this on the carpet, and I was blown away! There was hair coming up from seemingly nowhere! I did my entire carpet, and I was amazed at how much cat hair was still left after I vacuumed.